UCS | Phillip Bach - Universal Consulting Services Inc.
Phillip Bach is UCS’s Corporate Counsel, specializing in Federal Government contract law. Phillip provides legal counsel to UCS executive management to advance business interests while avoiding or mitigating risk to the company. He oversees corporate compliance on all Government and commercial contracts, and provides advisory and review support to the Business Development, Operations, and Accounting departments on laws applicable to Federal Government contractors. He is also responsible for the negotiation, execution, and administration of all contracts within the company. 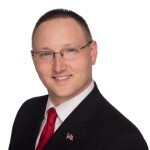 Phillip has over a decade of professional experience supporting Federal, state, and local governments. Phillip holds a J.D. from Fordham University School of Law, and a B.S. in Political Science from State University of New York at Brockport.